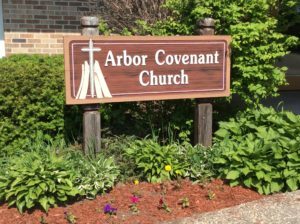 At Arbor Covenant Church, we believe thoughtful, faithful followers of Christ reflect diverse backgrounds, have contrasting opinions, and arrive at differing conclusions. We can’t tell you that we all ascribe to one theological viewpoint or one set of doctrinal claims. We can’t tell you that we all vote alike or have the same stance on every hot-button issue. We can’t tell you that we all agree about all the details of our faith, have all the answers, or whether we all think the last sermon was any good. We can’t tell you that community at Arbor is always neat or that it will never disappoint you. We can tell you that we value one another and aspire to be a welcoming, inclusive community that offers grace and lives out reconciliation. We can also tell you that we seek unity regardless of differences in ethnicity, gender, gender identity, sexual orientation, marital status, political affiliation, immigration status, physical/mental ability, criminal history, economic status, level of education, or any other means people use to discriminate against others. What unites us is a common desire to discover more about Jesus Christ, our pursuit of community centered around Christ’s love for the world and our intention to share in God’s grace together.